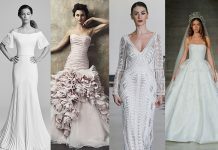 Choose your wedding dress style carefully; a sleek silhouette that flatters your figure will look more glamorous than a floating boho or beach-style dress. 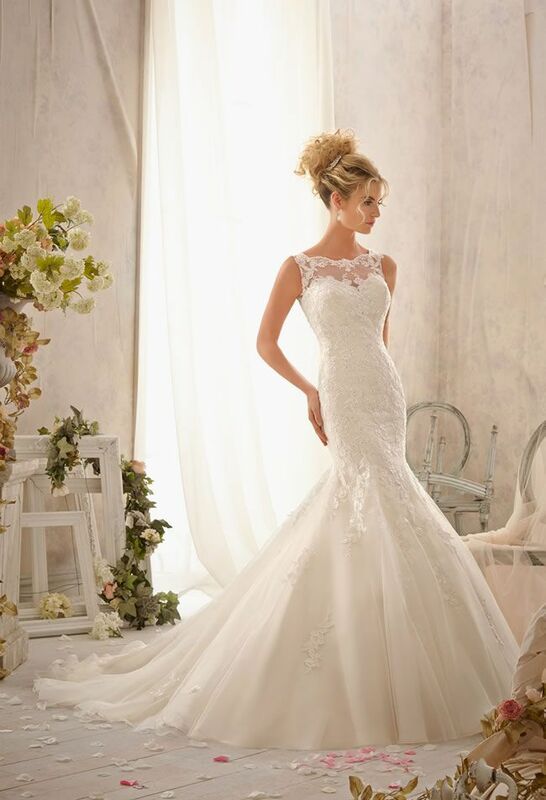 We love the lace detailed beauty of Mori Lee 2610, which has just been voted ‘Wedding Dress of the Year 2014’ or the stunning simplicity of their Blu Collection, style 5108 in tulle. Not a fan of fitted dresses? 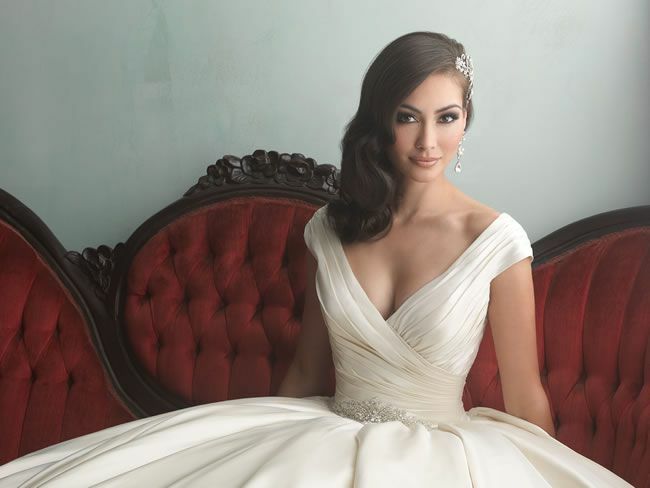 Just remember a ball gown can be glam too – Allure’s style 9155 is classic glamour at its best. You can add both definition and sparkle to the waist of many dresses with the addition of a glamorous statement belt – most bridal shops will have a selection you can try with your dress or these can be sourced easily online. 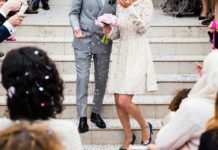 A soft and flowing veil that reaches to the end of your train evokes many a Royal or Hollywood wedding – think Angelina Jolie, Kate Middleton, Anne Hathaway, Courtney Cox and Nicole Kidman, to name just a few. Glamour needs to be apparent from all angles so don’t forget your back view, after all this is what your guests will be looking at during your ceremony. 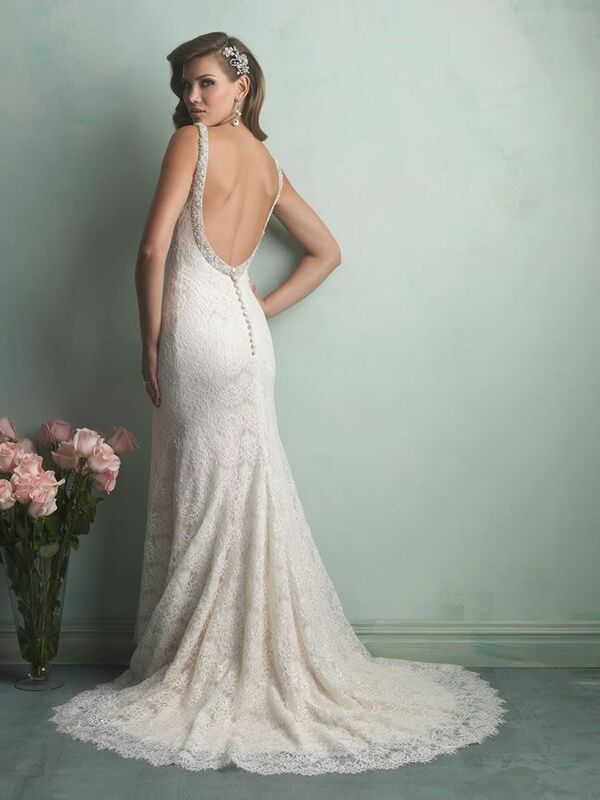 There are so many wonderful wedding dresses with beautiful backs. How about Allure Romance 2751 or 9170? When planning your wedding hair, remember that regular trims, colouring and eating healthily will give your hair a beautiful sheen. Choose a style that will last throughout the day and look for sleek styles where possible. If your hair starts to fall out of its intricate style, or begins to get in your way and you start to fiddle with it, it will definitely not look glamorous! 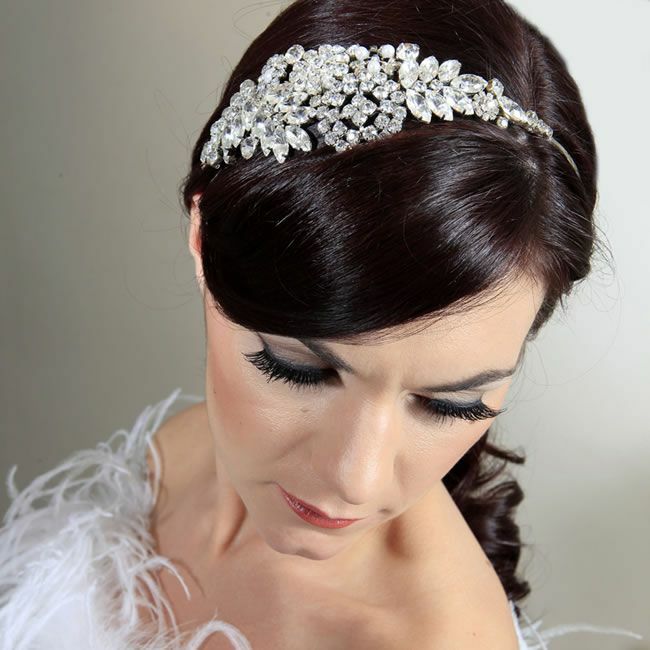 Choosing your jewellery and headpiece to match the style of your dress and hairstyle will pull your glamorous look together. If you have a lot of crystals and jewels on the dress, make your accessories understated, such as a simple bracelet and stud earrings with a side-detailed head band. Or, for a less embellished dress, go for a bold statement jewellery set and an elegant tiara. Are you a bride who loves her designer shoes, one who wants as much bling as possible, or the person who leaves choosing her shoes until the last minute? Remember you will be on your feet for a long time, so make sure the pair you choose are comfortable. Your glamorous look will be seriously let down if you are hobbling along, or pulling faces because your feet hurt! Make your bridesmaids look glamorous, too! Many celebs have been seen in multi-wrap dresses at weddings and on the red carpet. The wonderful Eliza and Ethan dresses can be worn in so many ways, you are bound to find a version to suit all shapes and sizes. Your bridesmaids will love the versatility and glamorous bridesmaids will help to complete your glam look too! Want more glamorous ideas for your big day? We’ve got all the best buys you’ll need in the Wedding Ideas Shop. Previous articleTop 10 tea party wedding stationery pieces!